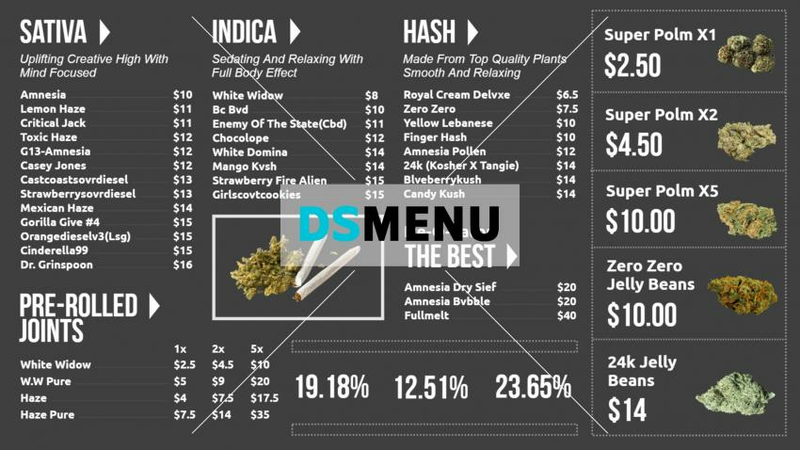 This chalk board color marijuana menu board presents avintage and classic setting. The menu board conveys authenticity, reliability and trust, which are so very essential for the pharmacist’s advertising for medicinal marijuana. On a digital sigange menu board the impact will certainly attract the target audience, who may drop in from other cities.